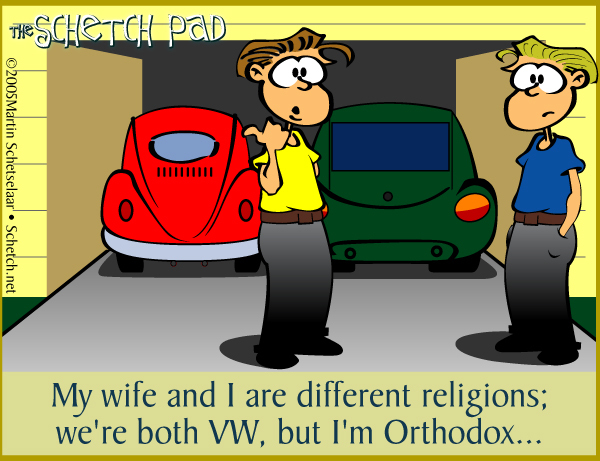 My wife and I are different religions; we're both VW, but I'm Orthodox. Wow. I was really being lazy with that background, wasn’t I?